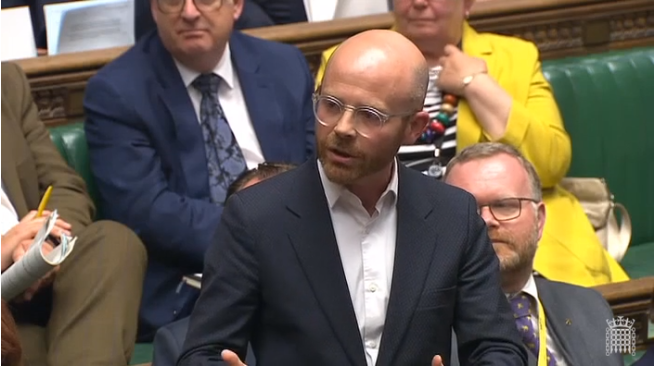 Martin Docherty-Hughes, MP for West Dunbartonshire, has hit out at UK government Ministers after it was revealed that the Ministry of Defence (MoD) is still using cancer-causing chemicals in the servicing of military vehicles. Responding to parliamentary questions lodged by the local SNP MP, UK Defence Minister Stuart Andrew has admitted that the MoD continues to make use of highly toxic hexavalent chromium – also known as chromium VI – in military vehicles. Martin Docherty-Hughes, Scotland’s sole representative on the Commons Defence Select Committee, has raised concerns that exposure to the toxic chemical may be putting the health of UK servicemen and women at risk. “It is simply incredible that decades after the dangers of hexavalent chromium became known, the MoD is still using a noxious, cancer-causing chemical in maintenance of military vehicles — especially as it has been so controversial in many neighbouring countries. “Yet, as we have seen in the cases of asbestos in defence platforms, or of the anti-malarial drug Lariam prescribed to serving personnel, the MoD often needs to be dragged kicking and screaming into addressing the most basic issues of health and safety for our military personnel. “That is why I will be making sure that Defence Ministers will have to address the scandal of hexavalent chromium at the despatch box.